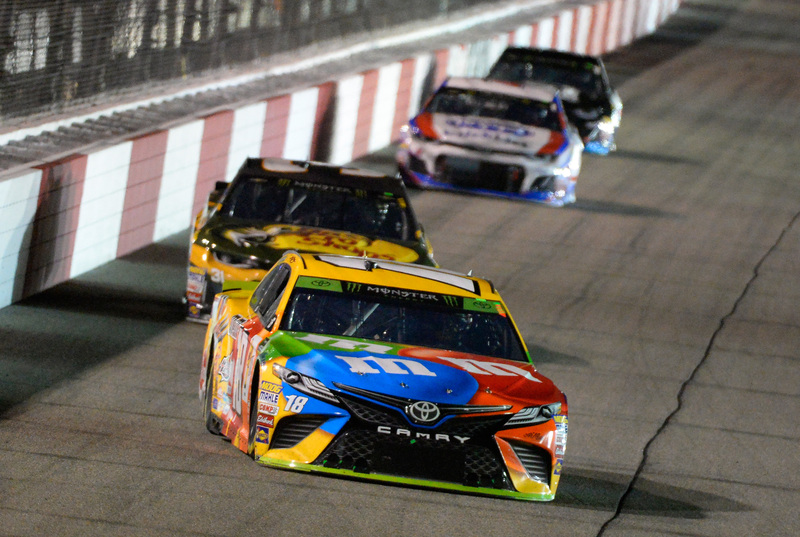 Kyle Busch has a lot of fond memories of Richmond Raceway, though not among them is the first time he competed at the three-quarter-mile Virginia track. That race was in the Gander Outdoors Truck Series in 2001, and by Busch’s recollection it was a night to quickly forget. While Busch may have had an auspicious debut at Richmond (he finished 22nd, three laps behind race-winner Jack Sprague), it wasn’t long before he would make better memories. Busch’s next start at Richmond came three years later in an Xfinity Series race, and did not feature any run-ins with the pace vehicle. Instead, on that night Busch put forth a dominating performance where he led 236 of 250 laps to score his first-ever victory in a NASCAR national series event. Ever since, regardless of the series he’s competing in, Richmond has been a place where Busch has excelled. In many instances, it has looked as if he knows sometime about the track that few could even comprehend. Busch’s six Cup wins at Richmond are most among active drivers, as is his 6.9 average finish. That superiority also extends to the Xfinity Series where Busch leads all active drivers in wins (6), top-five finishes (16), top-10 finishes (19) and laps led (1,497). On Saturday, Busch can further assert that Richmond is his own personal playground. He has won the past two races here, and a third consecutive victory would make him the first driver since Bobby Allison in the early 1980s to accomplish the feat. The only others besides Allison in the three wins in-a-row club are David Pearson and Richard Petty, rarefied company as Allison, Pearson and Petty are each members of the NASCAR Hall of Fame. “If we can win three in a row here at Richmond and match names like that — the Godfathers of our sport that built our sport to what it is today — would be pretty cool,” Busch said. A win Saturday would be more than just Busch cementing his status as one of the best-ever at Richmond, it would also be a continuation of the best start to a season of his career and one of the best overall in the Cup Series modern era (1972-present). Busch already has three wins in eight races this season, and not once has he finished outside the top 10. The last time a driver began a season with that many consecutive top-10 finishes was Terry Labonte in 1992. There is considerable distinction between the respective streaks compiled by Busch and Labonte, however. Labonte had neither a victory during nor led the series standings, whereas Busch has multiple wins and currently atop the standings by 27 points over Joe Gibbs Racing teammate Denny Hamlin.